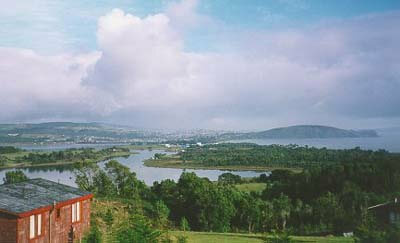 These houses on stilts are a typical style of construction on the Island of Chiloe. The water level varies with the tide. 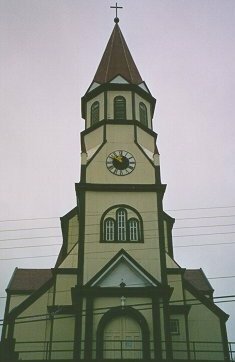 This Catholic Church in Castro is typical of church construction on the Island of Chiloe. 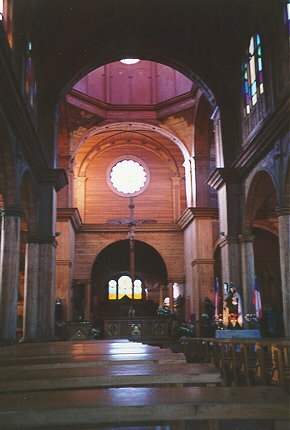 Many churches on the island were made without the use of nails. 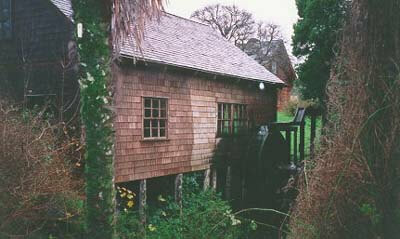 The second image shows the interior of this building. 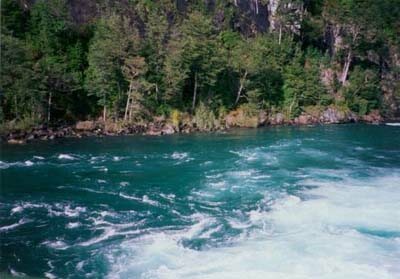 El Lago de Todos los Santos. So named because it was discovered on “all saints day” the 1st of November. 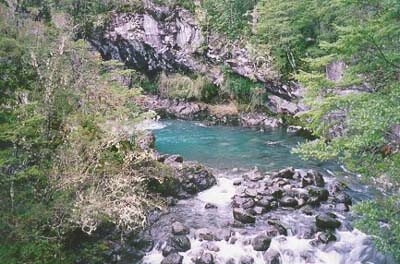 The waters of the Saltos (falls) de Petrohue have an emerald color to them. 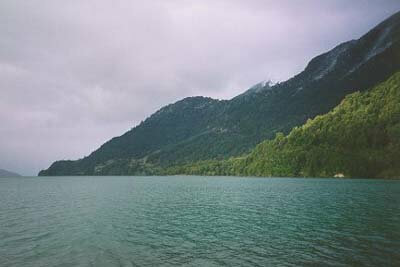 The water comes from el Lago de Todos Los Santos (the lake of all the Saints) that is upstream. Volcan Osorno from the air. Looking east towards Argentina. 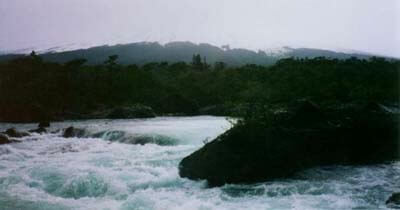 The base of the Volcan Osorno seen above the Saltos de Petrohue is barely visible through the clouds. 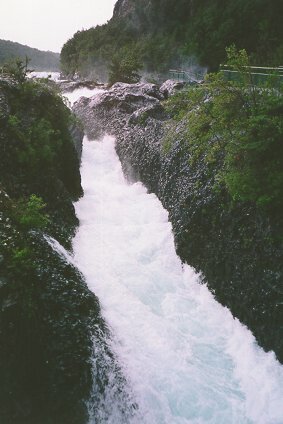 On a sunny day, it towers over the falls. 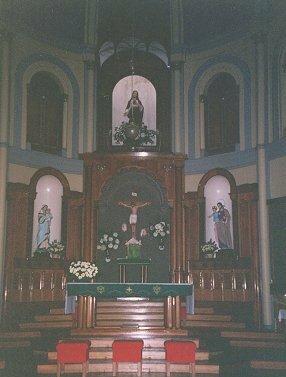 Inside the church shown above. The sun rising over the Andes in Puerto Montt. Looking down on Puerto Montt. 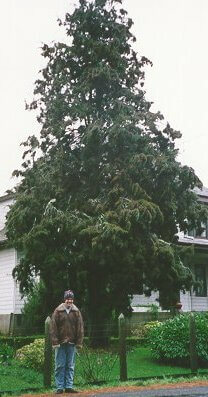 It is raining: it does that a lot in the South. 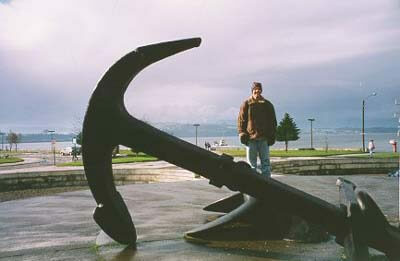 A big anchor on the shore of Puerto Montt’s bay. 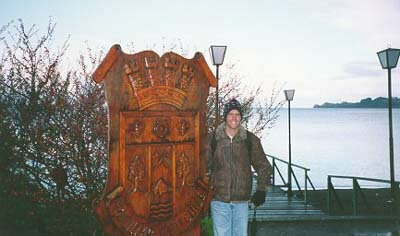 The bay of Puerto Montt looking south. 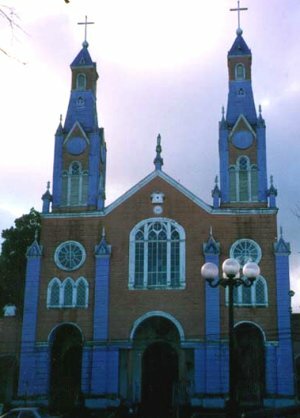 The southern Chilean city of Valdivia, on the banks of the river Calle Calle. This is the Spanish fort at Corral. 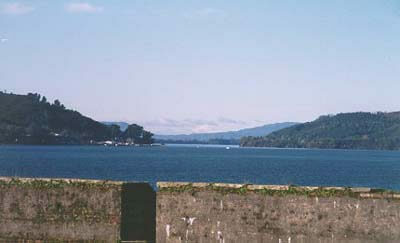 The bay in front of the fort leads to the Pacific Ocean to the left and Valdivia to the right. 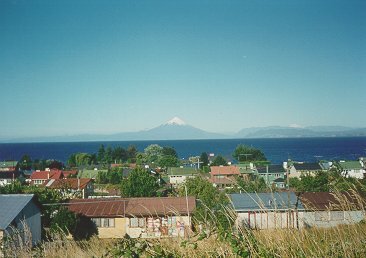 The Villarica volcano is seen over the walls of the fort at Corral. The Spanish Fort at Niebla. 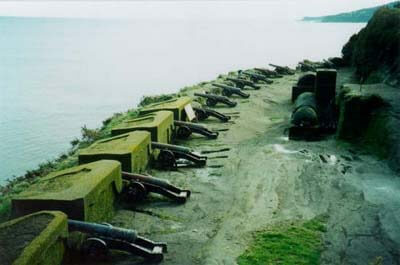 Cannons face the Pacific Ocean. 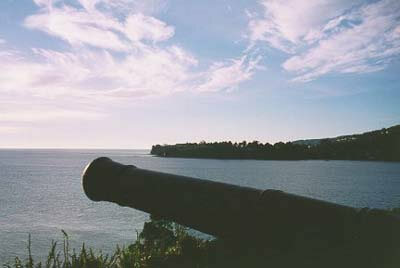 A cannon on the isla Mancera overlooks the entrance to the Pacific Ocean.